Not long ago, we told you that Sprint remained committed to Windows Phone, despite the fact that it had ceased sales of Microsoft-powered handsets. Today, the third largest US mobile carrier announced that it’s renewing its partnership with Microsoft by launching the Nokia Lumia 635 (already available via AT&T and T-Mobile). Sprint postpaid customers will be able to buy the Lumia 635 starting January 16 (for a price that hasn’t been revealed yet). Before that, Sprint will offer the smartphone via its two prepaid brands, Boost Mobile and Virgin Mobile. Both will start selling the Lumia 635 online on December 23 for $99.99 - no contract required. This is the first time when Boost and Virgin are launching a Windows Phone handset. The Lumia 635 is one of the entry-level Windows Phone 8.1 devices introduced this year. Its features include a 4.5-inch IPS display with 480 x 854 pixels, LTE, 5 MP rear camera, quad-core Snapdragon 400 processor, 512 MB of RAM, and 8 GB of expandable storage space. 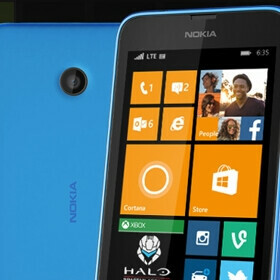 You can learn more about the smartphone by reading our Nokia Lumia 635 review here. I blame Microsoft more than Sprint. Microsoft is just releasing low end device after low end device. Microsoft only has some flagships for GSM networks, which will not work with Sprint as it is a CDMA network. The only CDMA phones Microsoft has in the U.S. are exclusive to Verizon, and they probably are not developing one for Sprint for at least a year. HTC, Samsung, LG, and other third party vendors have no interest in Windows Phone other than to make money from selling it. If they are not seeing strong sales from their investments in Windows Phone, they would have absolutely no reason to go through the trouble or cost of developing an exclusive one for a single declining carrier in the U.S. They would rather make Androids for Sprint, or even Windows Phones for other carriers. It is Microsoft's sole responsibility to make Windows Phone work, simply because they have the most to gain from it. Nobody is going to go out there and do their work for them. Yap! Very sensible. If Microsoft want to build a close ecosystem like the one Apple has. Microsoft will have to invest a lot more effort into it. 512mb phone is not helping to further this goal. Short sighted, penny wise pound foolish. The Nokia Lumia Icon on Verizon which was their top flagship prior to the HTC One M8 WP disappeared in less than a year. Unfortunately Microsoft can't manage to make flagship and carriers won't support them very long as they just won't sell. That's why they're focusing on the low end / prepaid market which while it doesn't sell very well, it does much better than the flagship market. Currently, the low end / budget phones sell on prepaid services like T-mobile because the phones are super cheap. I have a Nokia 635 and it works just fine. Windows Phones only need 1 gig of RAM to run some games. If you are not a gamer it doesn't matter. You can only expect so much from a $100 phone. how about sprint gets a flagship? like the M8. it will then be the first flagship on all the carriers (that I know of). They need a variety, especially since sprint`s selection of phones is not spectacular by any means. Actually, they have a lot exclusives and pretty much every major flagship phone. It's also rumored they are getting other more advanced Microsoft phones, as well as the Sharp phones and Sony Xperia phones. Their selection is about the same as every other carrier right now.